Now that we have worked on four different work kamping jobs in a row I wanted to take a step back and talk about how things were going in general. This post (as many of them do) actually comes out of a conversation Lee and I had along those same lines. It’s easy to look at every job as a unique set of circumstances (and I am trying to do exactly that in my “First Time” posts), but it’s also important to not get so caught up in the immediate that we lose sight of the big picture. I think it’s fair to say at this point that this life looks very different than we both expected it to. We didn’t start this life just because we wanted to travel (although there is nothing wrong with that), we chose it because we wanted to improve our quality of life. 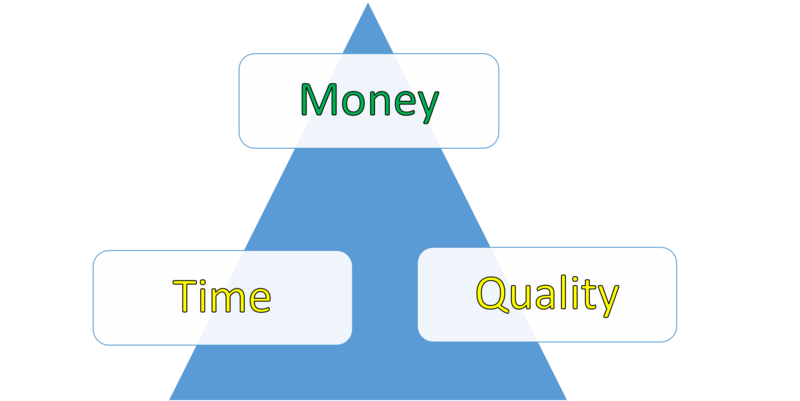 For a long time we believed that when you looked at life as a triangle of money/time/quality we could only pick two. But we thought with this life and “coloring outside the lines” we might get all three. And because I like pictures, our old life looked something like this. Obviously these categories are completely subjective, but since we are judging our life, subjective is really the only thing that matters. We had lots of money, very little time, and the quality was so-so. These are oversimplifications, of course. 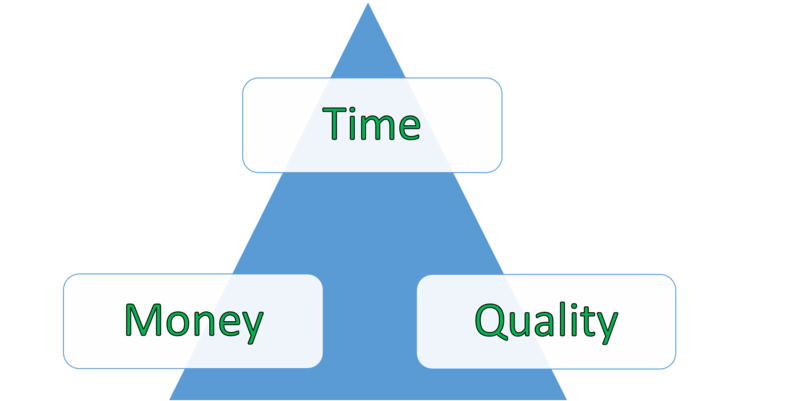 Defining quality of life in particular is challenging, and personally we include both work and home life in this equation. Some people would feel differently of course, but again, our life, our definitions. This is our frame of reference. And since we spent a solid 10 years living in that reality, it’s what we are comparing our current life to. And I think it’s important to do that once in a while. Not only because this is so new, but also because it’s easy for two people to not be experiencing the same thing. I thought that might be the case with Lee and I, so that is what prompted the conversation. But let’s go back a little. The first year we spent on the road I kept my corporate job and Lee worked on getting his business started. Working the corporate job on the road radically changed the time category from red to yellow. We did more things because we were geographically closer to them on the weekends, and we had more energy for it. Quality of life also vastly improved although we did have additional stress from working and moving that kept it in the yellow but closer to the green. The money of course was stayed green. That triangle looked like this. After I quit my corporate job I continued to get paid for quite a while as part of the buyout, and we did some volunteer jobs (that was awesome), but eventually took our first work kamping job camp hosting in Alaska. I didn’t write a summary for that one (although I did write a summary on visiting Alaska), but it was a pretty good experience. The quality of life was very good, the money was good, and although we worked slightly different shifts we had time to see things. Lee really liked what he was doing, and my job got better as I settled in. 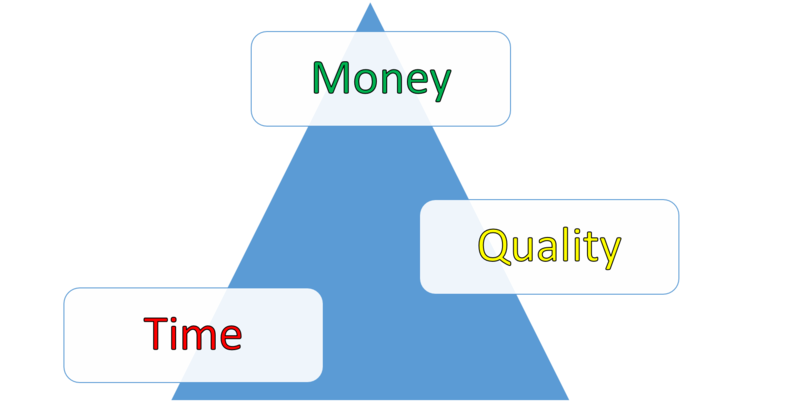 So far it is the closest we have come to experiencing “green” in all three categories and the triangle would look something like this. We made enough money to cover our costs and saw amazing things. Time is only yellow, because obviously we would have loved more time off to explore, but that would have impacted our money. Of course we were jealous of our friends who traveled there and didn’t have to work at all, who wouldn’t be, but even taking that out of the equation I would still give it a yellow because we were on slightly different shifts. We could have changed that by moving Lee to 11-8 with me, but still working a swing shift did reduce the amount of things we could do on work days. The longer daytime hours really helped with that though, and overall even this category was closer to green than red. Next was the beet harvest and I wrote a really solid summary of our experience there. The money was great (although this could be different in a different harvest year or piler yard) and there was absolutely no time. Lee and I disagree on the quality, because we did different jobs. He really liked being an operator (except when they changed pilers on us), but I struggled with being a helper. As a couple I am giving it a yellow though, which may surprise some people, but I was never bored, and that goes a long way for me towards making a quality experience. Plus I was in the best physical shape of my adult life when we ended, which is no small thing. Call it an orange for me, but for Lee definitely a yellow, so I am moving it into the yellow category for us as a couple. Then there was Christmas trees, which we both hated. I wrote my summary here and unlike beets and Alaska, which have gotten better in my memories with some time, this has actually gotten worse. Again, totally subjective, but no time, so-so money, and the quality of life was terrible mainly because we were working so hard and simultaneously uncertain about what was going to happen. Terrible way to live. And now gate guarding. Two weeks in, I think we have seen enough to rate this experience (preliminary at least). The money is so-so, time is great, but quality of life only so-so. We are in an uninteresting place, somewhat at the mercy of the elements, and because of the opposite shifts can’t go anywhere together. The work itself is easy though, boring but easy, and because we work from the rig we are able to accomplish chores during our work day. All of that combines to raise quality from a red to a yellow in our minds, pushing it closer to green. I say that with the understanding that the weather has been absolutely great. Give me several days of bad weather and it would push it more down into towards the red. This is where we are right now though. So what are we looking for? And are we being too picky? Trust me, it’s a question we ask ourselves all of the time. Obviously we would love to see this, but maybe we don’t get that. I certainly never had it in my old life. Never even expected it, to be honest, but this life…well we thought it would be different. That’s not totally true. I was pretty skeptical from day one it was possible, but I believed in the dream enough to quit my job to try and find it. And we certainly haven’t given up hope. We believe it is certainly possible, at least for short periods of time, and that is more than we ever had in our old life. And for the record I still don’t regret giving up my old job at all, and as of today’s conversation Lee doesn’t regret giving up his either. We both believe that taking these jobs will allow us to improve some areas of our work personalities. Lee says it’s like the movie Groundhog Day. We get to try new things out without having our mistakes follow us like in a typical job. Also, being put into all these different work environments with different types of bosses really stretches us, usually in a good way. Plus Lee feels he is beyond the need for external validation (I’m still working on getting there), and that allows the conversation to really be about the work. Lastly, I know our situation is different than most people. Lots of folks look at these jobs as “fillers” or extra income and as such their rating systems would be totally different. Others are just biding their time until their retirement and/or investments kick in. For us though, at 48 and 50, we need to continue to take the long view. For us it’s not just about whether the lifestyle is financially viable long-term, but also whether or not our quality of life (on balance) has improved. It may be a simplistic way of looking at things, but over the last year we have had less red in our lives (Christmas Trees aside). That’s a good thing. This entry was posted in Lakeside and tagged Full Time RV lifestyle, Work Kamping. Bookmark the permalink. I still think you need to explore working around our neck of the woods. Example: you can probably workamp at Shenendoah RV park here in Sweeny. I have seen it on workamping. One of you could try working construction at the refinery. That gives you time off together and a free campsite. Gives you good jobs and a normal schedule. Lots of rv parks equal opportunities. I did look into working the oil fields right after you emailed, but only saw skilled worker positions. I’m sure the jobs are out there but I didn’t find any and then this came up. Brilliant, Tracy. 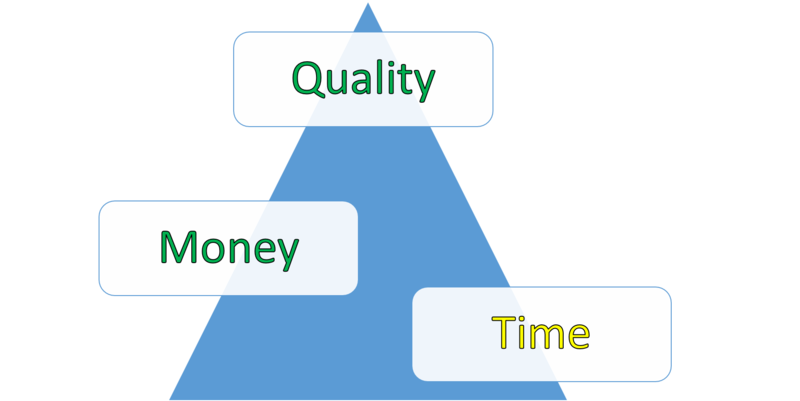 A great expression of the relationship among money, time and quality of life. Most thoughtful. Thank you. Great recap. I know I’ve said it before, but finding something that captures your passion and your talents, you might find a way to capture all three. On the other hand, you may not, but you are both super talented so my money says you will!! Thanks!! It was a good conversation and let me know we are still moving in the right direction. Just read this post and the one before it. Love how you are trying to have some type of way to gage how well things are (or aren’t going)! Some day I think a book will be a great idea. Great Post Tracy!! Always good to step back and take a look. Bill and I are a few years ahead of you;o)) We would say that the best things about this lifestyle for us is to be able to spend quality time together!!! Just know that the next 20 years will fly by and that your time together is precious!!! Great post! Not just a great way to look at your current life, but a great tool for anyone to use to evaluate their circumstances. Thanks Ted…that’s what I was going for!! Glad it has value even if you aren’t a full time RVer. The things we grapple with often hav broader themes. Life is still life whether you live in a mansion or a home on wheels! Great post Tracy. I agree with Cori and Nancy! Quality time together is one of the biggest perks of our new lifestyle and I just know with you and Lee’s passion and talents you will find the perfect place to raise up all of the important gauges into the green zone!